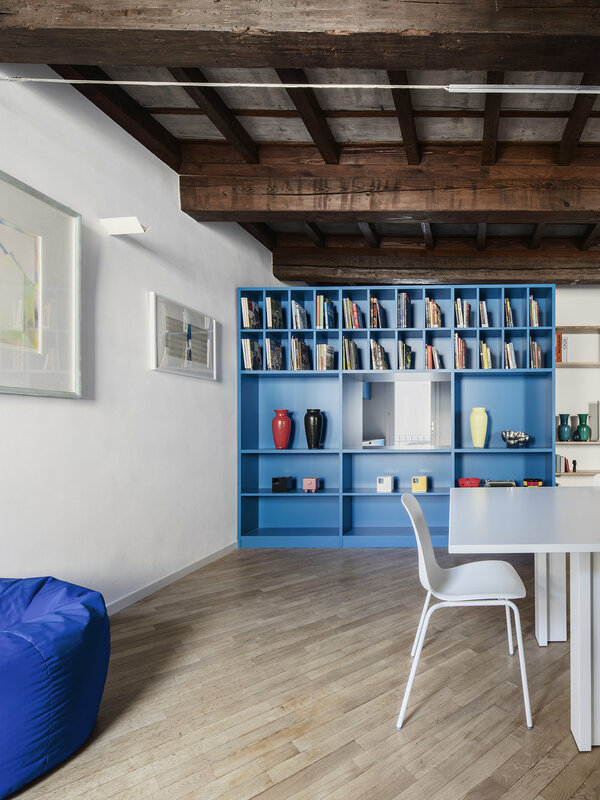 A building in the historical city centre of Mantova, in north Italy, previously entirely hosting a clothing store, had to be converted into a home for its owners at the upper levels. The bulding’s historic value and a limited budget had led the general approach, minimizing demolitions and new masonry constructions, trying to both highlight the existing structure and to emphasise the new elements designed for its functional transformation. 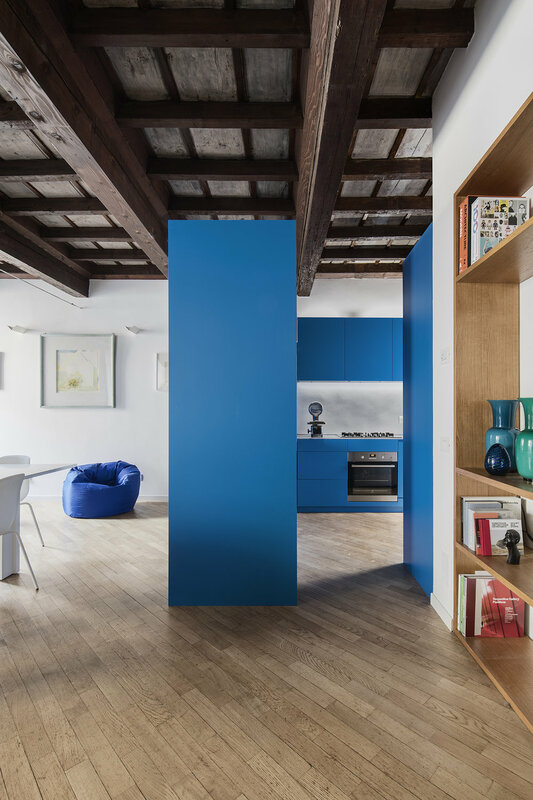 On three different storeys, coloured furniture elements are placed, acting as tools for a dynamic relationship between the building and the functions and rooms they host and hide. 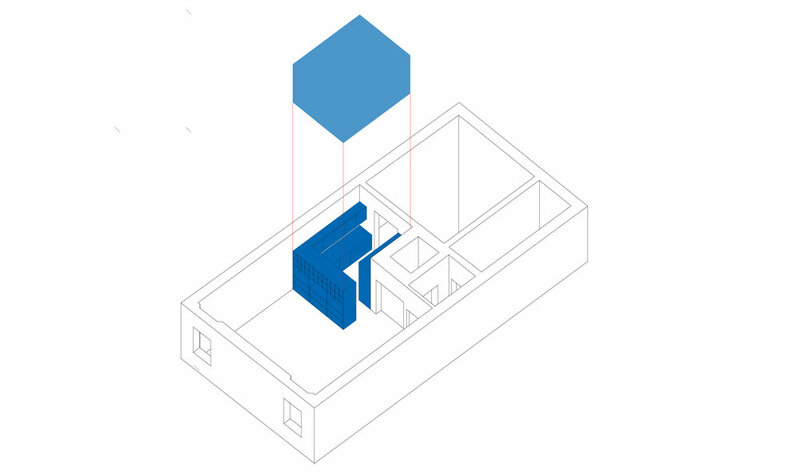 On first floor, where the living room is, a closed box is put in the corner, working as bookcase on one side, hosting a distribution space and hiding the bathroom. 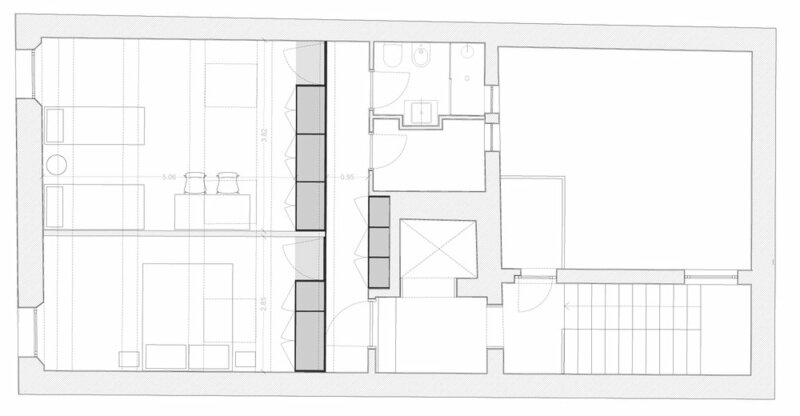 On second floor, the kitchen is conceived as a big furniture-room, inserted where the fitting room was, invading the dining room space; this open volume hosts all necessary appliances and storage spaces, and gets broken to allow entrance and to give visual continuity through all the building width. 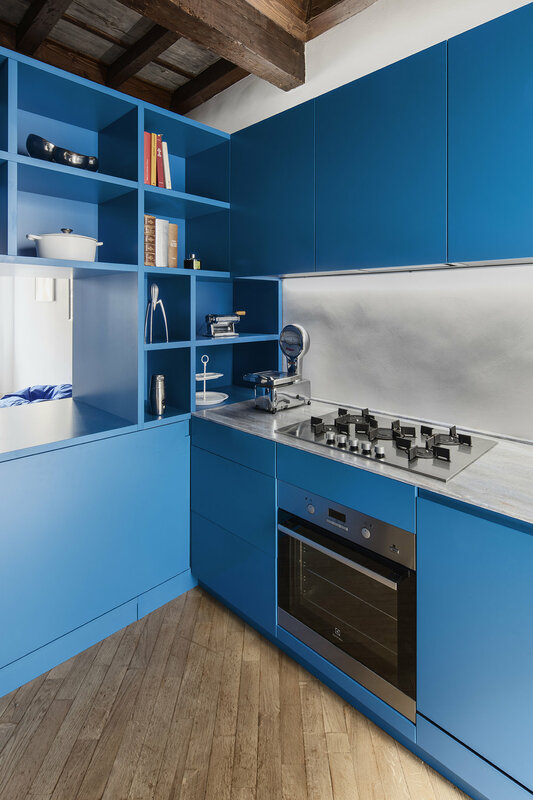 On third floor, two bedrooms have been designed, putting a long furniture volume along all the space lenght, obtaining a distribution corridor, doors and wardrobes. Choices of forms, dimensions, materials and colours of the new elements are all led by the will to emphasise their presence as extraneous, while at the same time highlighting the existing building’s original spatial configuration.